Bethlehem, ALRAY -- The 15th annual Israeli Apartheid Week (IAW), the largest global boycott, divestment and sanctions (BDS) mobilization for Palestinian rights, opened on Monday, 18 March, with more than 80 events in 40 cities across Europe, North America and Palestine, featuring protests, lectures, film screenings, and cultural events. IAW is expected to be held in more than 200 cities worldwide. 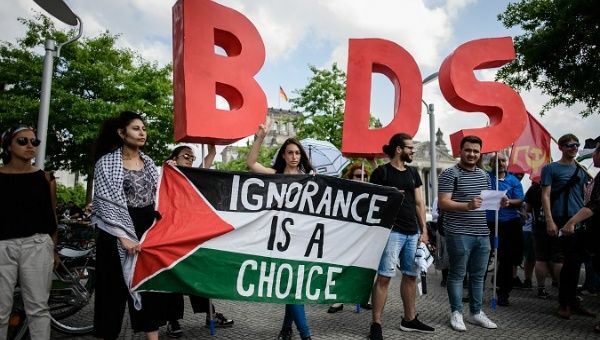 IAW officially kicked off Saturday the 16th in the occupied Palestinian city of Al-Bireh, where the Palestinian BDS National Committee (BNC), the largest coalition in Palestinian civil society,convened the Sixth National BDS Conference – a grassroots, civil society gathering with over 900 participants.